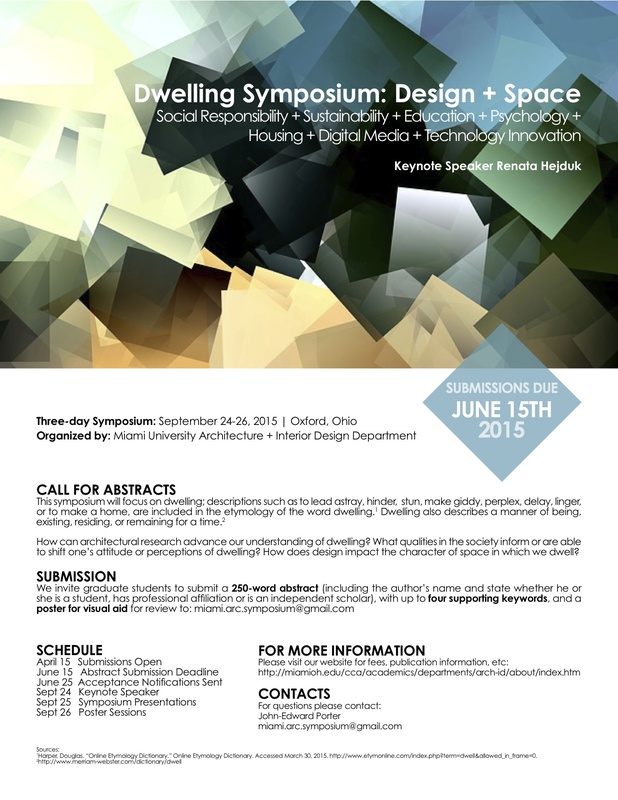 The deadline for the Call for Papers has been extended to June 15, 2015. How can architectural research advance our understanding of dwelling? What qualities in the society inform or are able to shift one's attitude or perceptions of dwelling? How does design impact the character of space in which we dwell? Please visit our website for fees, publication information, etc.